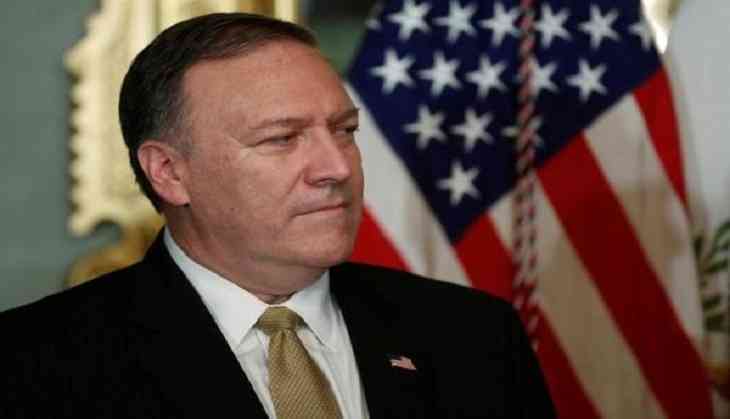 United States Secretary of State Mike Pompeo on Sunday said that Washington DC will enforce renewed sanctions on Iran. Talking to the reporters aboard, on his way home from Asia, Pompeo said the sanctions to be re-imposed on Monday are an important pillar in the US policy toward Iran, reported the Washington Post. "The United States is going to enforce these sanctions," Pompeo said. "It's an important part of our efforts to push back against Iranian malign activity," he added. Pompeo said that "enormous change" is required by the Iranian government to break free of the U.S. sanctions. "They've got to behave like a normal country," he said. In 2015, six countries - Iran, US, Britain, Germany, Russia, France, and China- signed Iran nuclear deal, for lifting economic sanctions on Tehran in exchange for limitations to the country's nuclear programme. Calling the accord as an "embarrassment" that was "defective at its core", the US President then warned of severe consequences if Iran resumed its nuclear programme.